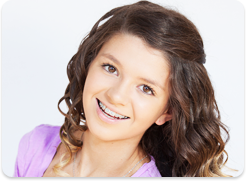 Exeter PA Orthodontist Answers: How Do Braces Move Your Teeth? If our 5-star Exeter PA orthodontist had to answer how braces move your teeth in just one word, that word would be pressure. That’s where the magic is. Not just any pressure will work, however! In order to sustain healthy, long-term movement, braces need to apply slow, steady, and sustained pressure. Our orthodontic office in Exeter works to calculate what nuanced forces your teeth need. Our aim is always to provide you with the best, most beautiful version of your smile. When you wear braces, each of your teeth will have a bracket or “brace” glued to it that will remain throughout treatment. Our Exeter PA orthodontist will then attach an archwire to the brackets. This wire is the primary source of pressure which allows for desired movement. Elastics attached from the top to the bottom jaw are also responsible for additional movement in necessary cases. Once the proper equipment has been put in place, your wires will be tightened to the appropriate level of tension. There is a common misconception that the tighter your wires are, the faster your braces can come off. This is not the case. In fact, balancing forces can be tricky. Our Exeter orthodontist is highly trained to detect what level of pressure is appropriate for your smile. Too much pressure will not accelerate treatment. In fact, it may slow the process altogether. When slow pressure is applied to your teeth, the tissue below is allowed time to adjust and heal, all while keeping your teeth strong and healthy. If the amount of pressure applied is too great, you run the risk of damaging your teeth and tissue because blood cannot properly flow. This makes sense when you think about other examples of extreme pressure on your teeth. For instance, ever wonder why Rocky’s opponents lost teeth in the ring? Essentially, a boxer sustaining a hit that results in a lost tooth is a result of excess pressure. It’s a good thing that it takes a lot of effort to move our teeth, or they’d be massively shifting all the time! After you have invested a significant amount of time in improving your smile, it is important to make sure it stays that way. Teeth naturally shift over time regardless of your orthodontic history. 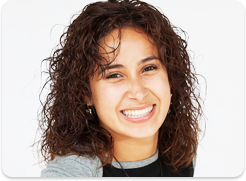 Our Exeter PA orthodontist explains that is why wearing your prescribed retainer is imperative. Retainers prevent reversal of movement and will keep your smile looking great for years to come. The information provided in this article is not meant to be medical advice and is for educational purposes only. If you would like to learn more about this and other topics related to orthodontics, feel free to contact Spark Orthodontics, with a convenient orthodontic office location near Exeter PA, by clicking here or by calling 610.865.2777.